In this aerial photo taken in the Gulf of Mexico more than 50 miles southeast of Venice on Louisiana’s tip, the Deepwater Horizon oil rig burned on April 21. Part Two of a Journal investigation finds the doomed oil rig was unprepared for disaster, hobbled by a complex chain of command and a balky decision-making structure. The vessel’s written safety procedures appear to have made it difficult to respond swiftly to a disaster that escalated at the speed of the events on April 20. For example, the guidelines require that a rig worker attempting to contain a gas emergency had to call two senior rig officials before deciding what to do. One of them was in the shower during the critical minutes, according to several crew members. The written procedures required multiple people to jointly make decisions about how to respond to “dangerous” levels of gas—a term that wasn’t precisely defined—and some members of the crew were unclear about who had authority to initiate an emergency shutdown of the well. This account of what happened aboard the rig at the time of the explosions, which killed 11, is based on interviews with survivors, their written accounts, testimony to the Coast Guard and internal documents of rig operator Transocean Ltd. and well owner BP PLC. At a Coast Guard hearing on Thursday, Jimmy Wayne Harrell, the top Transocean executive on the rig, acknowledged under questioning that a split chain of command on the platform could lead to “confusion” but it didn’t hinder emergency response. At the same hearing, Capt. Kuchta said that communications had not been a problem. Under pressure to step up his response to the Gulf of Mexico oil disaster, President Obama vowed tougher regulations for the oil industry. Joe White, Evan Newmark and Dennis Berman discuss. Also, a discussion on why ‘Bluedog’ Democrats caused a new jobs bill to falter. BP declined to comment on anything that happened April 20. In the minutes before the Deepwater Horizon exploded, almost no one on board realized that serious trouble was brewing, other than a few men on the drilling floor—the uppermost of three levels on the massive structure. The sea was as still as glass. A cool wind blew faintly from the north. Capt. Kuchta was hosting two BP executives on board for a ceremony honoring the rig for seven years without a serious accident. Nearly 20 men, many of them close friends, were operating the drilling apparatus, which already had bored through more than 13,000 feet of rock about 5,000 feet deep in the Gulf of Mexico. No alarms had sounded that day signaling gas on the platform. At about 9:47 p.m., workers all over the rig heard a sudden hiss of methane gas. Methane is often present in the ground in and near reservoirs of crude oil, and managing the threat is a regular part of drilling. Within two minutes, pressure caused by gas in the well pipe had spiked dramatically, drilling records indicate. A torrent of methane gas struck the rig. Power failed throughout the vessel. “Everything started jumping up and down and rocking us,” said Kevin Senegal, 45, a tank cleaner, in an interview. 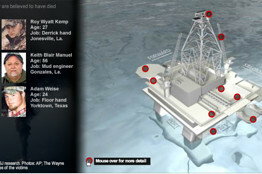 See a 3-D diagram of the rig as the explosion happened. Plus, read more about the Deepwater Horizon Victims . Out on the water, 40 feet away, a 260-foot supply ship called the Damon B. Bankston was tethered to the rig by a hose. That ship’s captain said in an interview that he saw drilling “mud,” which is used as a counterweight to gas in the well, flying out of the drilling derrick like a “volcano.” He radioed the bridge of the Deepwater Horizon. He was told there was “trouble with the well” and the Bankston should move 150 meters back. Then the channel went silent. Micah Sandell, a 40-year-old with a wife and three children, watched with alarm from the rig’s gantry crane, a massive device that moved across the main deck on a track. He radioed his crew to move away from the derrick. Down on the deck, Heber Morales, 33, a former Marine from Texas, turned to the worker beside him. “Oh, man. That’s not good,” he said. The two moved away from the derrick. Up in the crane, Mr. Sandell saw another worker on the deck, assistant driller Donald Clark, a 48-year-old former soybean farmer from Newellton, La., bolt for a set of stairs leading for the area where workers were fighting to control the well. Ms. Fleytas, one of only three female workers in the 126-member crew, was on the bridge monitoring the rig’s exact location and stability. Briefly, all the equipment went black, then a backup battery kicked on. She and her coworkers checked their monitors, which indicated no engines or thrusters were operational. Multiple gas alarms were sounding. One of the six huge engines that kept the floating platform stable was revving wildly. No methane had been detected on the Deepwater Horizon before the massive gas jolt. So no “Level 1” gas emergency—according to Transocean safety regulations, when “dangerous” levels of gas are detected in the well—had been declared, according to crew members. That meant the crew had gotten no general alert to prepare for trouble and no order to shut down anything that might ignite the gas. The rig’s regulations state that in the event of such an emergency, the two top managers—on April 20 they were BP’s senior person on the rig, Donald Vidrine, and Transocean’s installation manager, Mr. Harrell—were to go to the drilling floor and evaluate the situation jointly. But once the gas hit, neither was able to get to the area. Transocean says the rig’s chain of command and safety standards were followed and worked effectively under the circumstances. Mr. Harrell didn’t return phone calls. BP said Mr. Vidine was unavailable to comment. When the pressure in the well spiked suddenly, the drilling crew had limited options and little time to act. Jason Anderson, a 35-year-old “toolpusher” who was supervising the crew on the oil platform’s drilling floor, tried to divert gas away from the rig by closing the “bag,” a thick membrane that surrounds a key part of the drill mechanism. That didn’t work. Four emergency calls were made from the rig floor to senior crew members in the moments before the blast, according to a BP document reviewed by the Journal. One went to Mr. Vidrine, according to notes about a statement he gave the Coast Guard that were reviewed by the Journal. The rig worker, who isn’t identified in the notes, told him the drilling crew was “getting mud back,” a sign that gas was flooding into the well. At that point, Mr. Vidrine rushed for the drilling floor, but already “mud was everywhere,” he told the Coast Guard. Vote: Should BP be barred from future federal contracts or U.S. oil leases after the Gulf spill? At about 9:50 p.m., Stephen Curtis, the 40-year-old assistant driller working with Mr. Anderson, called the rig’s senior toolpusher, Randy Ezell, who was in his sleeping quarters, according to a statement given by Mr. Ezell to the Coast Guard. Mr. Curtis said that methane was surging into the well and workers were on the verge of losing control. Two rig workers who later discussed the matter with Mr. Ezell said he was told that Mr. Anderson was going to trigger the blowout preventer, a 450-ton device designed to slice the drill pipe at the ocean floor and seal the well in less than a minute. If triggered in time, it might have been enough to prevent the explosions, or at least limit the scale of the disaster, say some drilling experts. Mr. Ezell prepared to go to the drilling floor, according to his statement. Seconds later, the methane ignited, possibly triggered by the revving engine. That set off an explosion that blew away critical sections of the Deepwater Horizon, sheared off at least one engine, set large parts of the rig on fire and allowed oil to begin spewing into the sea. Mr. Curtis, an ex-military man who enjoyed turkey hunting, and Mr. Anderson, a father of two who was planning to leave the Deepwater Horizon for good at the end of his 21-day rotation, almost certainly were killed instantly, according to other workers. So was veteran driller Dewey Revette, 48, from State Line, Miss. Six men working nearby also died. They included 22-year-old Shane Roshto and Karl Kleppinger, Jr., 38, from Natchez, Miss., and Mr. Clark, the assistant driller who had rushed to the stairs to help out. 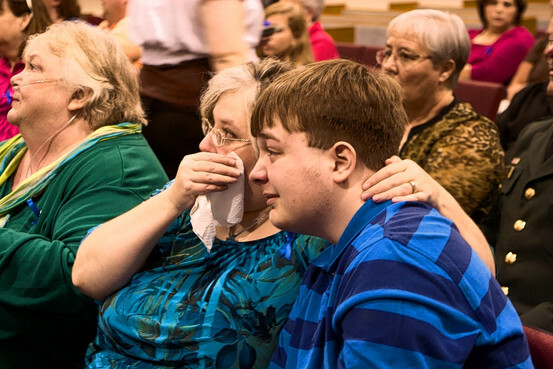 Tracy and Aaron Kleppinger, widow and son of worker Karl Kleppinger, at his funeral in Natchez, Miss., May 3. Dale Burkeen, a 37-year-old Mississippian who operated the rig’s tall starboard crane, had been trying to get out of harm’s way when the blast hit. It blew him off a catwalk, other workers say, and he fell more than 50 feet to the deck, where he died. A series of detonations followed. The motor room was wrecked. Steel doors were blown off their hinges. The wheel on one door flew off and struck a worker. Crew members were hurled across rooms, leaving many with broken bones, gashes and serious burns. When he heard the first explosion, toolpusher Wyman Wheeler, who was scheduled to go home the next day, was in his bunk. He got up to investigate. The second blast blew the door off his quarters, breaking his shoulder and right leg in five places, according to family members. Other workers scooped him up and carried him toward the lifeboat deck on a stretcher. The explosions knocked gantry-crane operator Mr. Sandell out of his seat and across the cab. As he fled down a spiral staircase to the deck, another explosion sent him into the air. He fell more than 10 feet, then got up to run. “Around me all over the deck, I couldn’t see nothing but fire,” he said in an interview. “There was no smoke, only flames.” He ran for the lifeboat deck. From the bridge, Chief Mate David Young ran outside to investigate and to suit up for firefighting. After he encountered only one other crew member in gear, he returned to the bridge. Crew members say no significant firefighting efforts were undertaken. “We had no fire pumps. There was nothing to do but abandon ship,” said Capt. Kuchta, in testimony at a Coast Guard inquiry on Thursday. As workers poured out of their quarters, many found their routes to open decks blocked. Ceiling tiles and insulation were blown everywhere. In some areas, fire-suppression systems were discharging carbon dioxide. Stairways were gone. Many crew members couldn’t reach their designated assembly areas. Scores scrambled instead toward the only two accessible lifeboats, which hung by cables 75 feet above the water on one side of the rig. Each enclosed and motorized boat could hold about 75 passengers. “The scene was very chaotic,” said worker Carlos Ramos in an interview. “People were in a state of panic.” Flames were shooting out of the well hole to a height of 250 feet or more. Debris was falling. One crane boom on the rig melted from the heat and folded over. Injured workers were scattered around the deck. Others were yelling that the rig was going to blow up. “There was no chain of command. 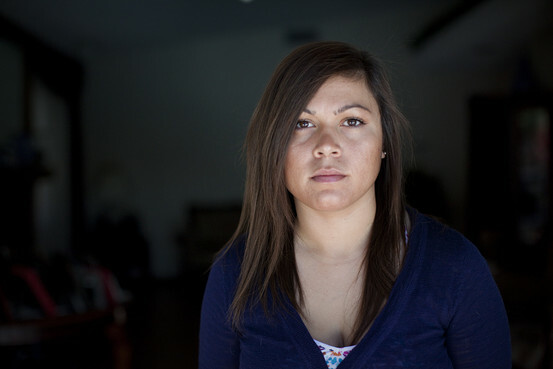 Nobody in charge,” Mr. Ramos said. Terrified workers began jumping directly into the sea—a 75-foot leap into the darkness. Mr. Rupinski radioed the bridge that workers were going overboard. A Transocean spokesman said the company hasn’t yet been able to determine exactly what happened in the lifeboat loading area. Capt. Kuchta and about 10 other executives and crew members, including Ms. Fleytas, were gathered on the bridge, which was not yet threatened by fire. When word reached the bridge that workers were jumping, Ms. Fleytas’s supervisor issued a “man overboard” call. The Bankston, now positioned hundreds of feet from the burning rig, picked up the call. Officers on that vessel had seen what appeared to be shiny objects—the reflective life vests on rig workers—tumbling from the platform into the water. The Bankston put a small boat into the water and began a rescue operation. Messrs. Vidrine and Harrell, the two highest ranking executives, appeared on the bridge. Mr. Vidrine later told the Coast Guard that a panel on the bridge showed that the drilling crew, all of whom were dead by then, had already closed the “bag,” the thick rubber membrane around a section of the well. But the emergency disconnect, which would sever the drilling pipe and shut down the well, had not been successfully triggered. Some crew members on the bridge said the disconnect needed to be hit, and a higher-ranking manager said to do so, according to an account given to the Coast Guard. Then another crew member said the cutoff couldn’t be hit without permission from Mr. Harrell, who then gave the OK. At 9:56 p.m., the button finally was pushed, with no apparent effect, according to an internal BP document. Mr. Young, the chief mate who had left the bridge to survey the fire, told Capt. Kuchta that the fire was “uncontrollable,” and that everyone needed to abandon the rig immediately, according to two workers on the bridge. 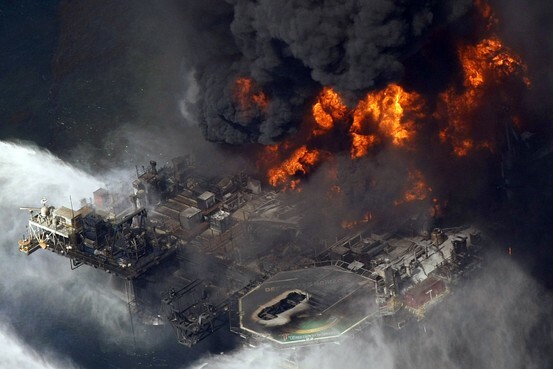 Under Transocean safety regulations, the decision to evacuate was to be made by Capt. Kuchta and Mr. Harrell. Capt. Kuchta didn’t immediately issue the order, even though at least one lifeboat had already pushed away, according to several people on the bridge. At the Coast Guard hearing Thursday, several crew members said they weren’t certain who issued the abandon ship order or whether one was ever given. Capt. Kuchta didn’t return calls seeking comment, but in his testimony said it was obvious to all by that time that the crew should evacuate. Capt. Kuchta told everyone who remained on the bridge to head for the lifeboats, according one person who was there. One boat was long gone. When they reached the boarding area, the second was motoring away, according to several witnesses. Ten people were left on the rig, including Mr. Wheeler, the injured toolpusher, who was lying on a gurney. The deck pulsed with heat. The air was thick with smoke, and the surface of the water beneath the rig—covered with oil and gas—was burning. Crew members attached a 25-foot life raft to a winch, swung it over a railing and inflated it. Mr. Wheeler was lifted in and several others climbed in with him. As the raft began descending, Ms. Fleytas jumped in. The remaining people on the rig, including Capt. Kuchta, leapt into the Gulf. Once the life raft reached the ocean, it didn’t move, even as fire spread across the water. Some hanging on to its sides thought the heat of the rig was creating a draft sucking the craft back in. Terrified, Ms. Fleytas rolled out of the raft into the oil-drenched water. “Cut the line,” yelled one Bankston crew member. Another passed over a knife, the raft was cut free, and the last survivors were towed away from the fire. All told, the Bankston rescued 115, including 16 who were seriously injured. A Transocean spokesman says that the fact that so many survived “is a testament to the leadership, training, and heroic actions” of crew members. The crew of the Deepwater Horizon watched from the deck of the Bankston as the drilling platform burned through the night. More than 24 hours later, it sank in 5,000 feet of water. —Jason Womack, Ben Casselman, Russell Gold, Jennifer Levitz, Miguel Bustillo and Jeffrey Ball contributed to this article. Marking five disastrous weeks, BP readied yet another attempt to slow the oil gushing into the Gulf on Tuesday as a federal report alleged drilling regulators have been so close to oil and gas companies they’ve been accepting gifts and even negotiating to go work for them. Ahead of his trip to the Gulf, Obama planned to address an Interior Department review of offshore drilling that’s expected to recommend tougher safety protocols and inspections for the industry, according to an administration official. The official spoke on condition of anonymity ahead of the public release Thursday of the findings of the 30-day review Obama ordered after the spill. 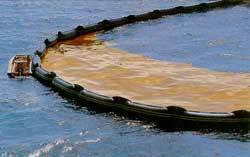 BP’s next effort to stop the damaged oil well, perhaps Wednesday, will be to force-feed heavy drilling mud and cement into the well to plug it up. The tactic, called a “top kill,” has never been tried a mile beneath the sea, and company executives estimate its chances of success at 60 to 70 percent. “This is the one of the most difficult days for many of us here. But for the families of our 11 lost colleagues, this is just another of many difficult days,” said Steven Newman, CEO of Transocean Ltd., the Swiss-based owner of the Deepwater Horizon rig. A new report from the Interior Department’s acting inspector general found that an inspector for the Minerals Management Service, which oversees drilling, admitted using crystal methamphetamine and said he might have been under the influence of the drug at work. The report cited a variety of violations of federal regulations and ethics rules at the agency’s Louisiana office. Previous inspector general investigations have focused on inappropriate behavior by the royalty-collection staff in the agency’s Denver office. The report adds to the climate of frustration and criticism facing the Obama administration, although it covers actions before the spill. Millions of gallons of oil are gushing into the Gulf, endangering wildlife and the livelihoods of fishermen, as scrutiny intensifies on a lax regulatory climate. In a letter to Sen. Barbara Boxer, D-Calif., Assistant Attorney General Ronald Weich said he could not confirm or deny a criminal investigation was under way, but he said a team of investigators has been in the Gulf for three weeks. Justice lawyers have been meeting state officials and federal prosecutors to assure a coordinated effort, Weich said. Her biggest concern is the ease with which minerals agency employees move between industry and government, Kendall said. While no specifics were included in the report, “we discovered that the individuals involved in the fraternizing and gift exchange _ both government and industry _ have often known one another since childhood,” Kendall said. The report follows a 2008 report by then-Inspector General Earl Devaney that decried a “culture of ethical failure” and conflicts of interest at the minerals agency, which is part of the Interior Department. Salazar called the latest report “deeply disturbing” and said it highlights the need for changes he has proposed, including a plan to abolish the minerals agency and replace it with three new entities. The report “is further evidence of the cozy relationship between some elements of MMS and the oil and gas industry,” Salazar said. Several employees cited in the report have resigned, were fired or were referred for prosecution, he said, and actions may be taken against others as warranted. A spokeswoman for Island Operating Company could not be reached for comment. The Louisiana-based company says on it website that it has “an impeccable safety record” and cites Safety Awards for Excellence from the MMS in 1999 and 2002. The company was a finalist in other years. “Island knows how to get the job done safely and compliantly,” the website says. Feinstein, who chairs a Senate Appropriations subcommittee that oversees the Interior Department, said she will hold a hearing next month on Salazar’s plan to restructure the agency. Associated Press writers Ben Evans, Ben Feller and Erica Werner in Washington, Holbrook Mohr in Jackson, Miss., and Greg Bluestein in Covington, La., contributed to this story.